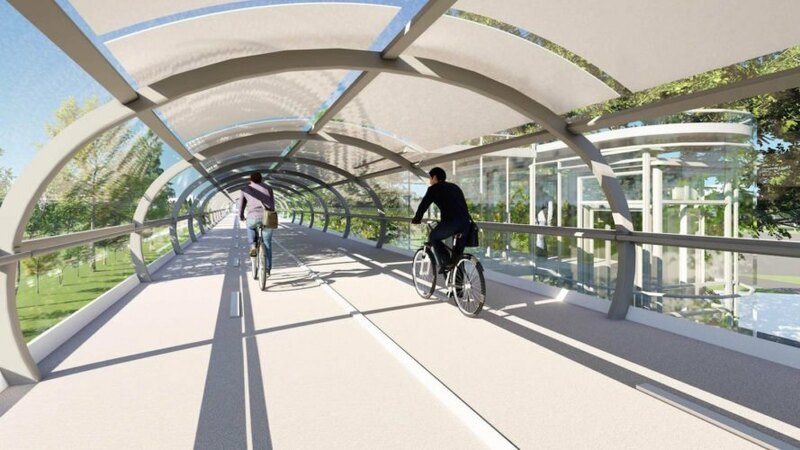 Architect Richard Moreta just unveiled the MINILOOP, an enclosed cycleway that could be a dream come true for bicycle commuters. 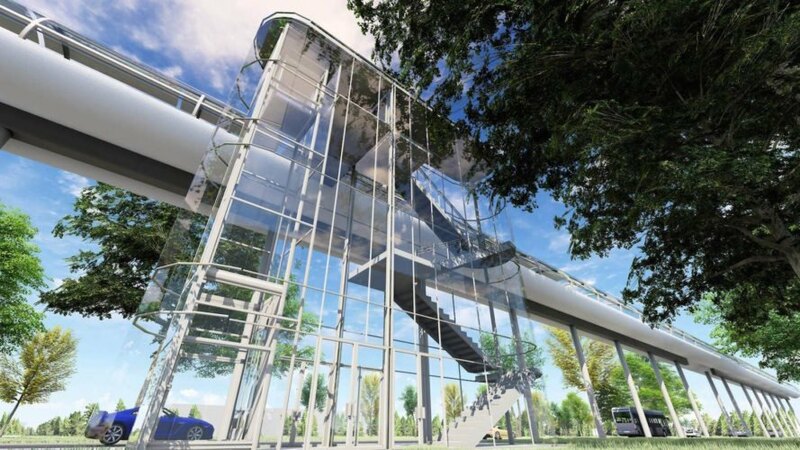 Envisioned as the “ideal zero-emission transportation system,” the MINILOOP is designed to harness renewable energy and supply excess power to the local city grid. 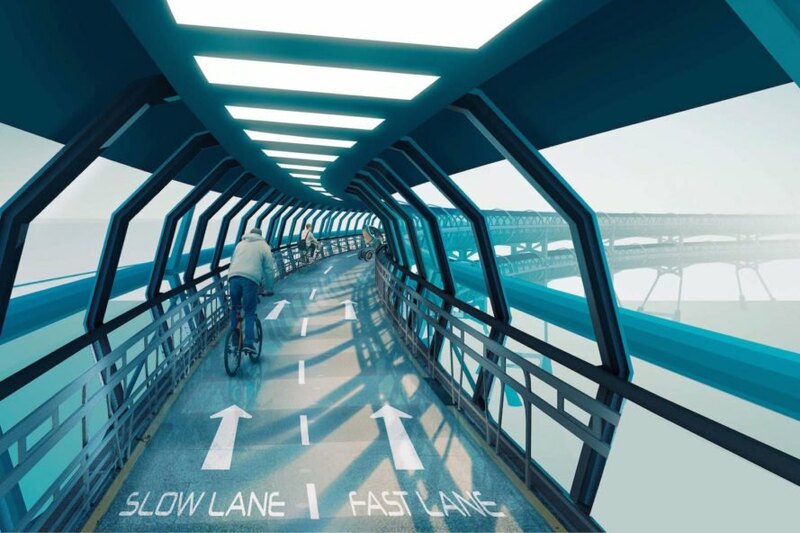 Geared to satisfy even the most fair-weather cyclists, the cycleway would be enclosed in a weather-resistant elevated pipeline and it’s designed to cater to bicycles and e-bikes. 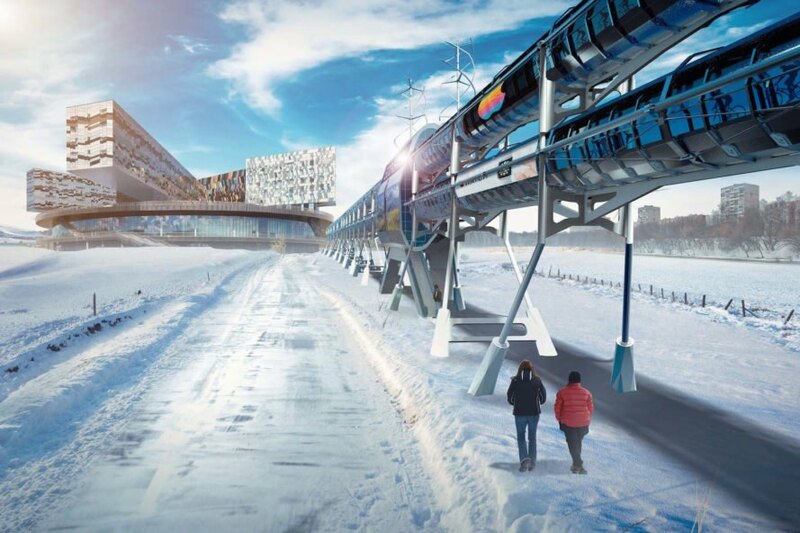 The designers also included an optional additional circuit for small electric vehicles as part of their vision for moving cities toward a lower carbon footprint. To encourage surrounding communities to adopt greener transportation options, each MINILOOP would also be equipped with electric bicycle and vehicle charging stations, as well as electric bicycle rentals. 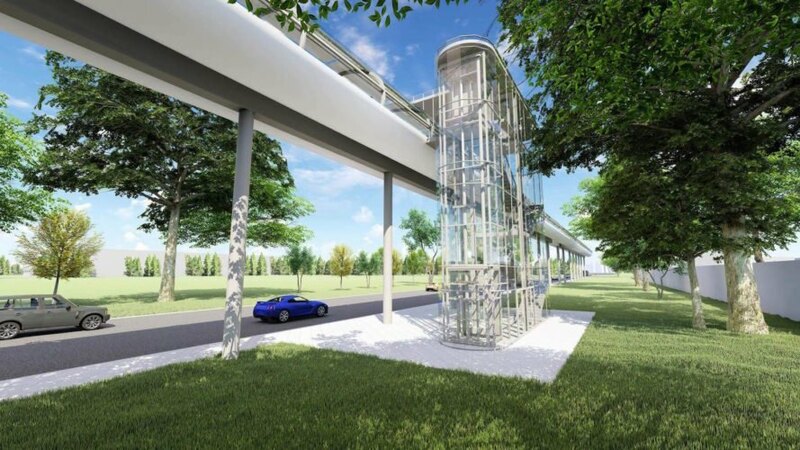 The MINILOOP, designed by Richard Moreta, would be a dream come true for bicycle commuters. The design is created with intentions of placing the MINILOOP in cities worldwide, accounting for extreme or comfortable weather conditions. MINILOOP could help cities work toward a lower carbon footprint. The MINILOOP would also include electric bike charging and rental stations. A sleek entrance to the MINILOOP. 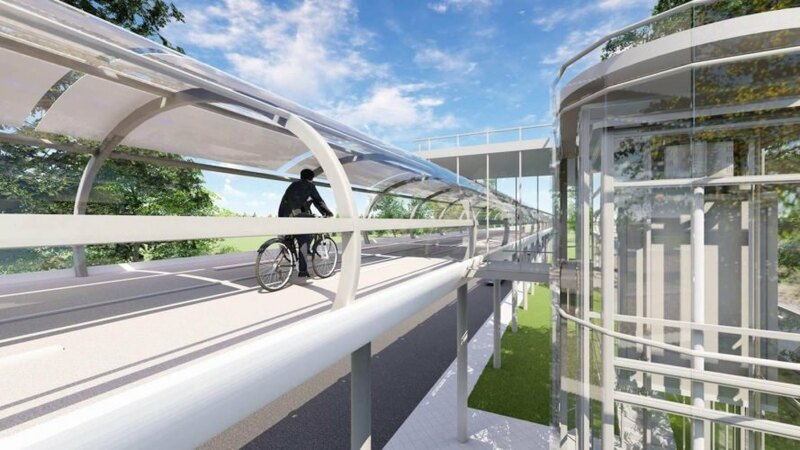 The cycleway would be enclosed in a weather-resistant elevated pipeline system. The MINILOOP would be a safer option for cyclists everywhere. The system is designed to harvest renewable energy and supply excess power to the local city grid. 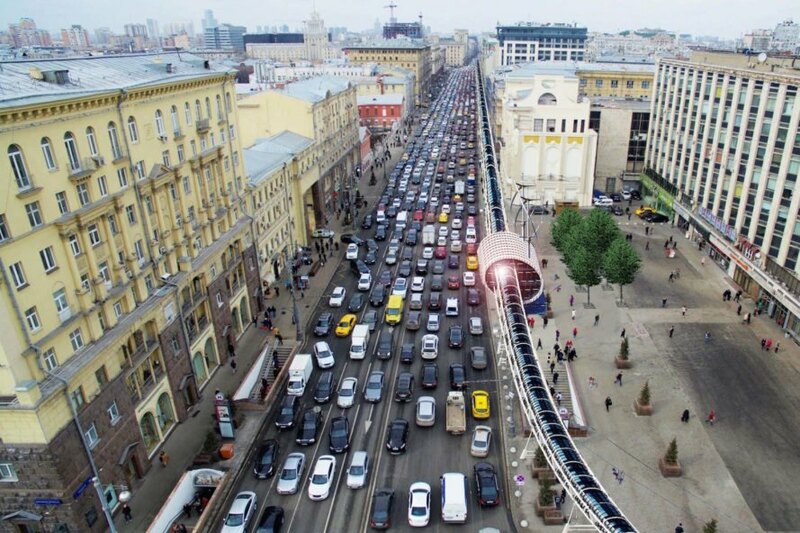 This system could help alleviate congestion on roadways.